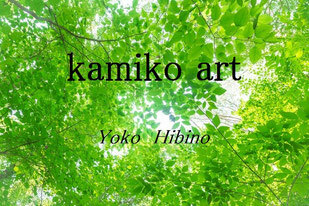 A variety of memories of your Kamiko art will continue to introduce! 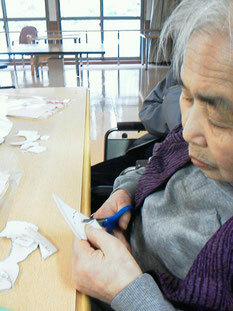 Such as nostalgic work, friends photos, a lot of hope that we introduce. 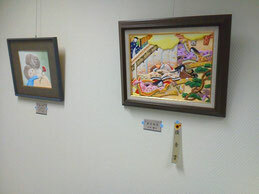 This year to carving picture exhibition in Ogaki Sui Topia center has also come to bother you! Also it came firmly I see all the work this year! I just really stunning work. 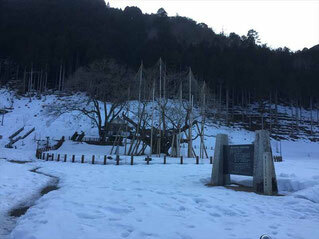 January 18,2016 Tanigumi mountain Hatsumairi tour went happily in your classroom members and friends members! ! 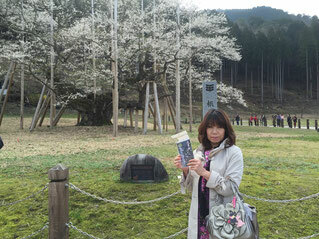 Blessed with weather, such as cold, even without your meals and souvenirs, I can share the time spacious! 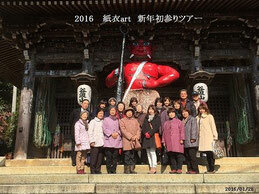 Red demon in front of traditional end of winter is also welcome in the temple! Dishes "Enokiya" also was the best! ! 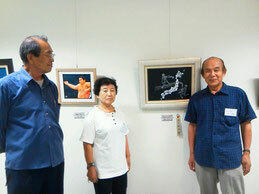 In the "Japan Japanese paper Painting Exhibition" at the Tokyo Metropolitan Art Museum, I was able to choose the winners! 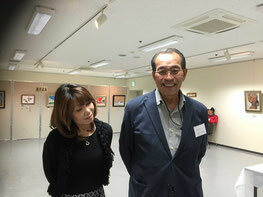 Sato Koseki Japanese paper picture Takahashi teacher of the study group chairman also we have reflected together! 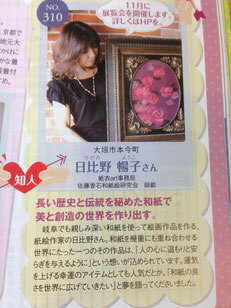 Takagi director's! A very Take care, it is more interesting. 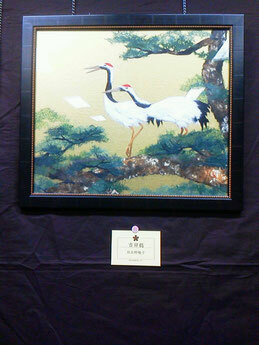 Movies also stunning works of other person of your classroom and is adorned lot. November 14, because it is 15 days, by all means, please visitors. 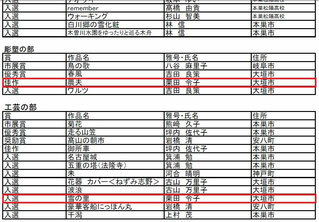 It has also been scheduled, such as the stage announcement is in addition to the exhibition. 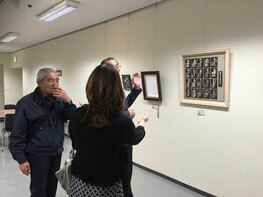 We exhibited the work of classroom everyone in Ogaki west district center festival has become indebted Sato Koseki certified classroom! Everyone is wonderful! 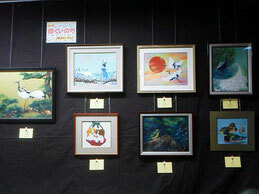 Has been bother you to the 18th-carved picture art exhibition! I was allowed to listen to carefully explain as always! Award-winning work! It is very nice. It is a picture unique three-dimensional sense of carving! On the last day of 2015 the previous year shine adult school, I have been happily everyone graduation while listening to the beautiful sounds and call you a performance of the erhu to guest! 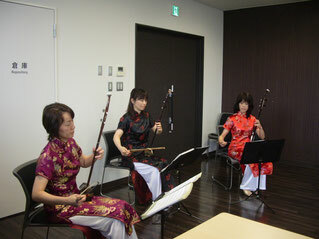 A very nice performance, everyone was also fun. Each period in the final times are available for things to do, we have gotten to enjoy the final episode of the course. 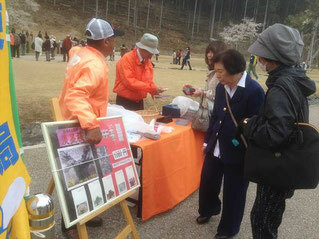 Your classroom scene at the ground Memorial of narrow path knot back Ogaki. Every time very comfortably also the air-conditioning of the venue will be the everyone happily working in a beautiful venue. In addition to "enjoy the shine adult school-sum", from July old Helen Keller classrooms, was reborn at this venue! 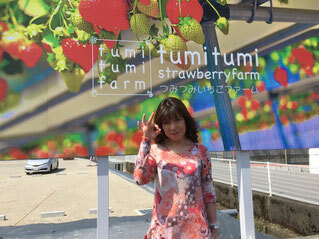 I love strawberries, I went to the strawberry hunting in "one Mitsumi strawberry farm" ! 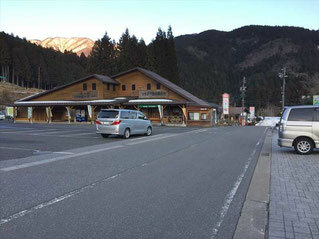 Mt.Ibuki went to the summit! Is May I summit is still snow There is also wind strongly was cold, but it can not be changed in the superb view. 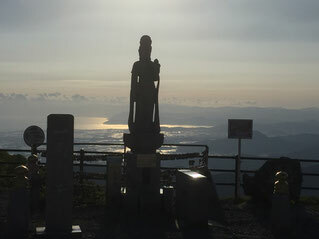 Mt.Ibuki summit is the location of the prayer also for couples wishing to love fulfillment! The weather is good and you pass by the setting sun of Sunset seen Chikubushima is beautiful best! It is romantic! 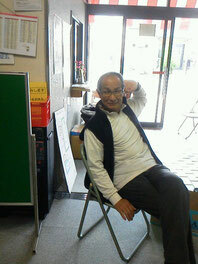 It is a music video of Mr. "Sojiro". 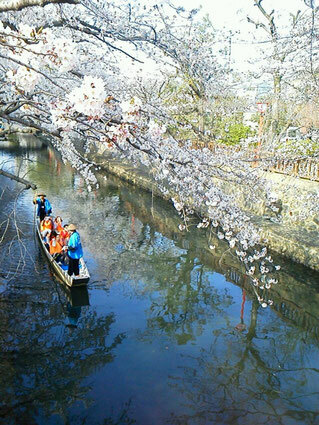 Is not it nice Nante listen to back the "Usu zumi zakura" this kind of great tone? Neo onsen ni wa, kono okarina no jitsubutsu mo tenji shite arimasu! Ano gensō-tekina neiro ga kono gakki kara umareru ndesu ne! 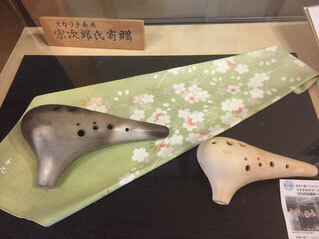 The Neo hot springs, also gives the exhibition thing of this ocarina! That fantastic tone it's born from this instrument! Ticket purchase will in time still! For more information, please refer to the following homepage! 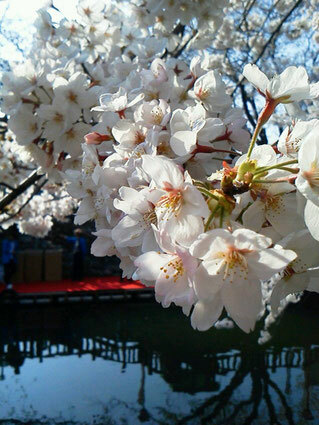 Also 2015 April 9 this year, "Usu zumi zakura" was me bloom cheerfully dazzling flowers! 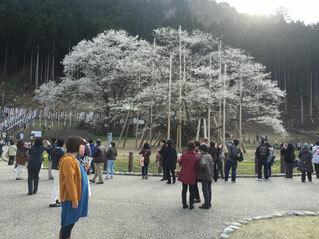 In full bloom time, I had come many also everyone of the tourists! 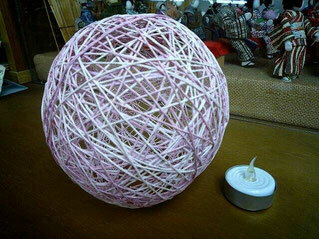 It is also strong increases II of Sakura. 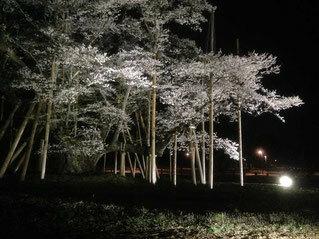 According to the story, this season is also fantastic night have also been lit up at night, seems very beautiful. 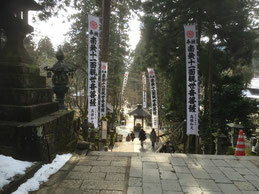 But I went also seen light up last year, went prematurely to the hot spring this year! 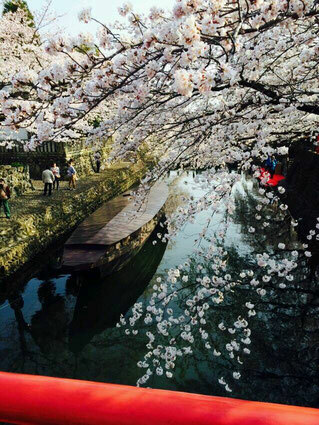 Also cherry tree seen from the open-air bath. . It is Sumiyoshi lighthouse before the Basho Matsuo "land of back narrow path knot!" This season is the most crowded. 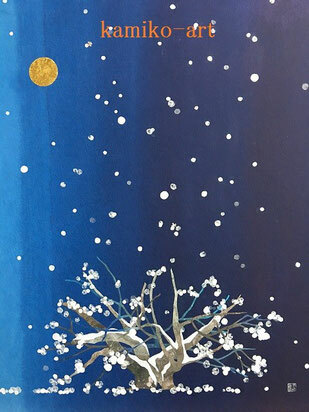 Do not give me is in bloom only just a few days, abandon, cheerfully strong, I do not think in the cherry tree disconnect the memories of this season! It is your classroom Sugiwakai. 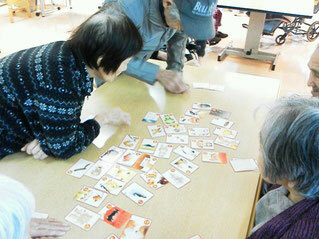 It is also one of the fun you play just a little bit and work to make ends! Everyone is very happy. If there is an understanding of your family like, by all means because you can participate in your classroom, please your classroom Kamiko art to the fun time of the tenants of everyone! 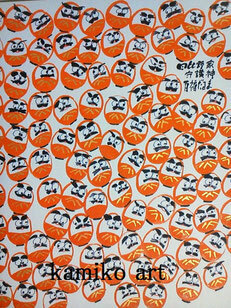 Every year, Sekigahara-Sugiwakai, create a masterpiece in everyone. Everyone will be the stunning work joined forces. 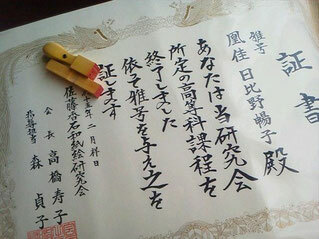 Yoko Hibino because you supervised, will be in commemoration of the epic. Is the staff who always are taken care of. So we have friendly and I have you in kindness. 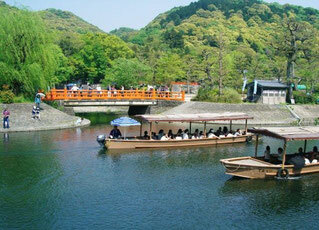 Facilities staff's also, it is very beautiful! 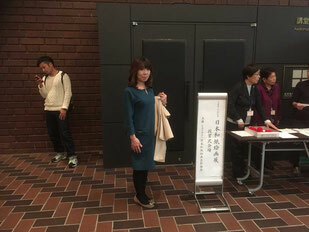 Staff's men is also very gentle kindness. 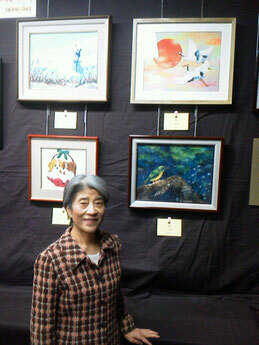 Reiko Kurita of the member has been awarded at the 11th Motosu art exhibition! Work "farmer", "snow village" has been happily winning! 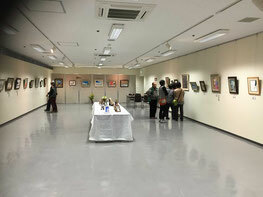 The other, had been exhibited many stunning work of everyone. 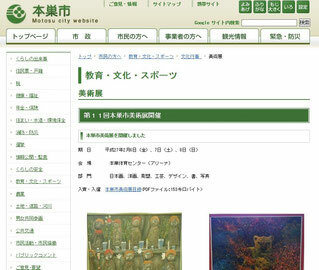 For more information, please refer to the Motosu HP. 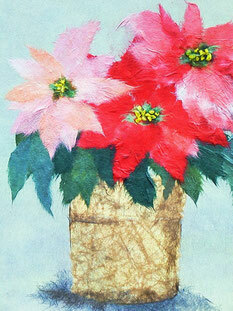 Kamiko art Friday class of Yumi Hashimoto's work "poinsettia" is now complete. 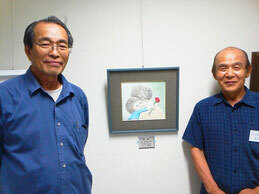 Kamiko art Yanase's work Monday class "sea of clouds". To complete, it is a little more! It looks very hard. In Monday class, fun and decided you theme, but looks worked seriously work. If you fit of your time still Monday class because your participation is possible, it should be needed please! 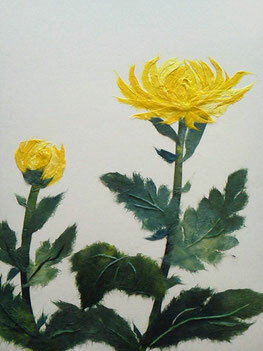 Same is Kamiko art Mine's work Monday class "chrysanthemum". Going forward, it is more and more likely to be raising the arm! 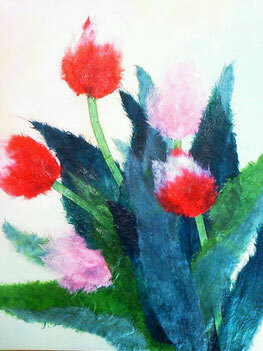 Same is Kamiko art Mine's work Monday class "tulip". 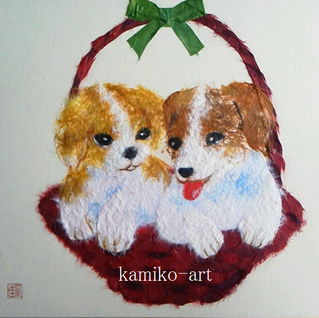 I soft feel of the paper has come out well. 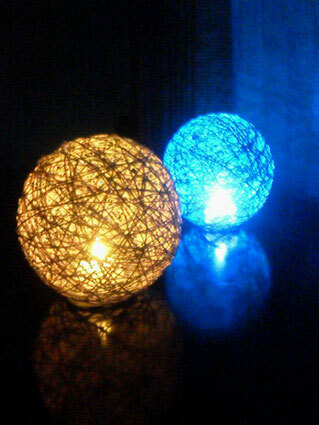 Is beautiful! 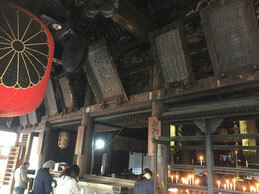 Always, to the worship without fail in this "Kannondo". What I got by waiting for defintely sacred sake this year, it has been drunk before gel Bong! 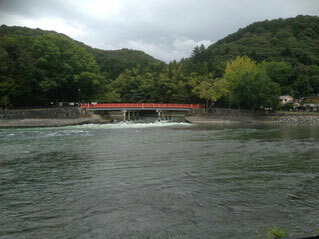 Usu zumi is a hot spring! 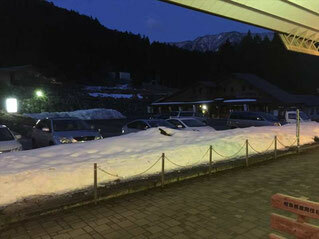 Snow seen from the open-air bath also have been operating in this season also is the best! Since the parking lot wider in the big car, you can comfortably parking! 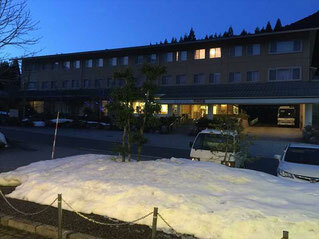 Staying can also hotel has been the hotel. very beautiful. 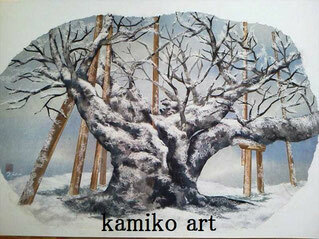 Neo Village is also the cover of the Post Office commemorative stamp is my work. Now had to come a little more lean. Last year, there was a thing many happy! Kato like that are very indebted to! "Hyakufuku Dharma" in the home of The Guardian also I was drawn to Kato, like! 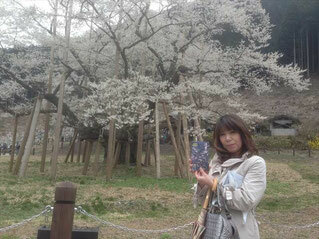 Last year, we have introduced even "Ogaki Sakura"! 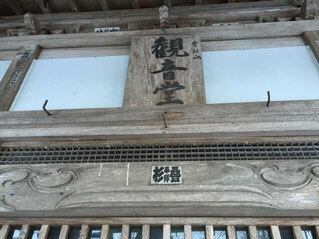 Nenmatsu ni wa `Nihon o omou-ten' de takusan no go raijō o itadakimashita. Jimukyoku-chō mo kiji ni hatsu tōjō! 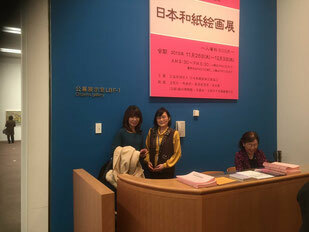 We have a lot of your visit in the "Exhibition think of Japan" at the end of the year. 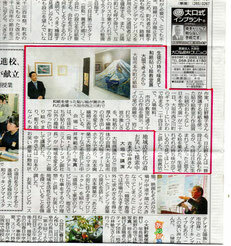 Secretary-General also first appearance in the article! 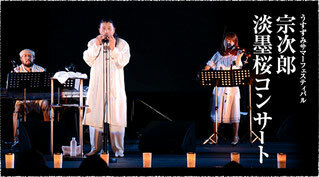 "Usu zumi zakura" in 2014! Night spreads up by the fantastic world! 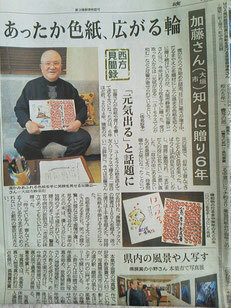 Neo village had positive feedback with my work on the cover of "Furusato commemorative stamp" of the post office. 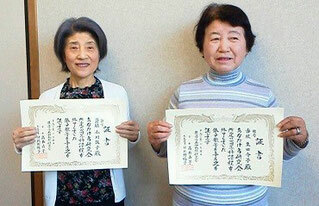 Thanks also to the members of the post office! Of course, also it will go this year! ! 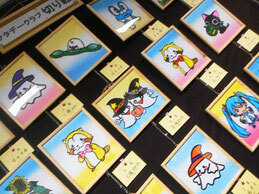 It also was fun day trip to Kyoto of Kamiko art! I was blessed with the weather! 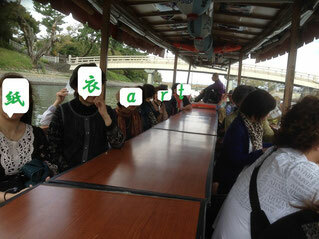 It was also ride in the charter to everyone together in the houseboat. 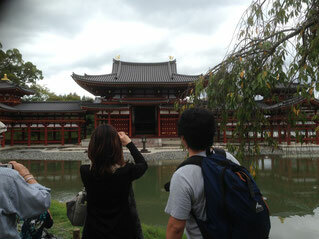 Byodo of Uji was also can also preview just after the end of the restoration! 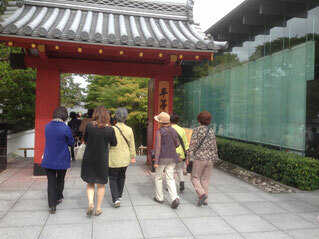 Courses and houseboat → Byodoin→ lunch → Yatsuhashi, was able to spend leisurely slowly! 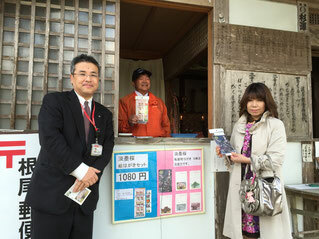 Bus guide san was saved because gave me guidance to in the Byodoin. Lunch meals we had delicious. 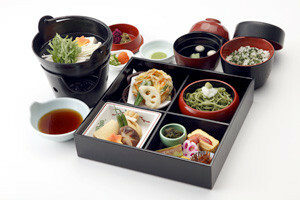 To buckwheat tea, Kyoto taste was packed in hot water tofu. It will be born towards the member who is not one after another to the pen name acquisition level! Your work will be one of the art in the world! In the light Art I was making everyone nice work! It was fantastic to darken the room is a recital in the glow adult school. 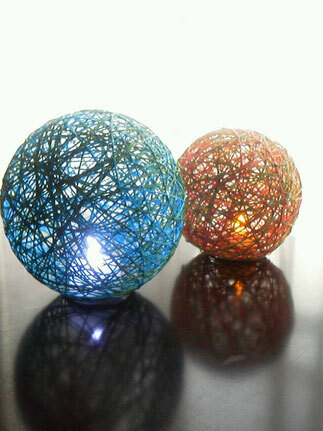 But it looked even those who do not quite nicely rounded, or would have gotten lit in your home. Is one press work! 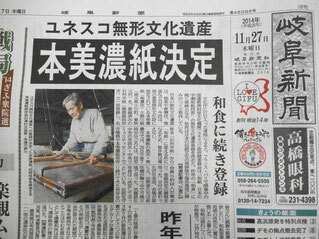 Mino Japanese paper is now UNESCO intangible cultural heritage! 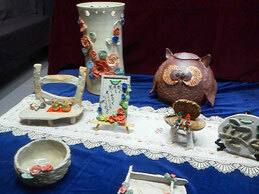 To have been used many pieces of Kamikoromo art! 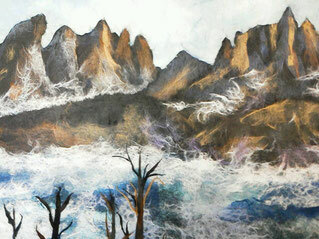 Create a work in the world heritage! 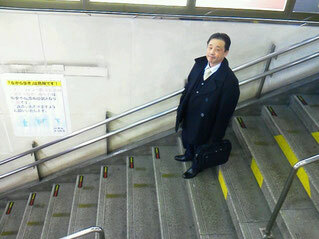 Secretary-General, to Nagoya is a business trip. 2015 February still JR Ogaki Station home looks cold likely. 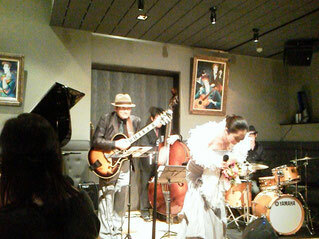 Christmas of 2014 I received invitation to JAZZ dinner show of Yukarikawa teacher! ! 2015 Valentine's Day. 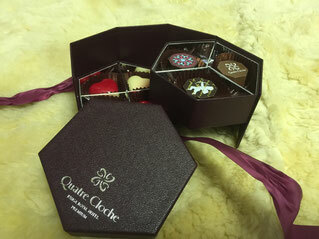 Everyone also What was given to loved ones.